There’s been a lot of news about the subways and transportation in New York City lately, most of it about the deteriorating infrastructure in the more-than-century-old system. Extensive re-routings, rush-hour delays and cancellations on weekends are now the norm. 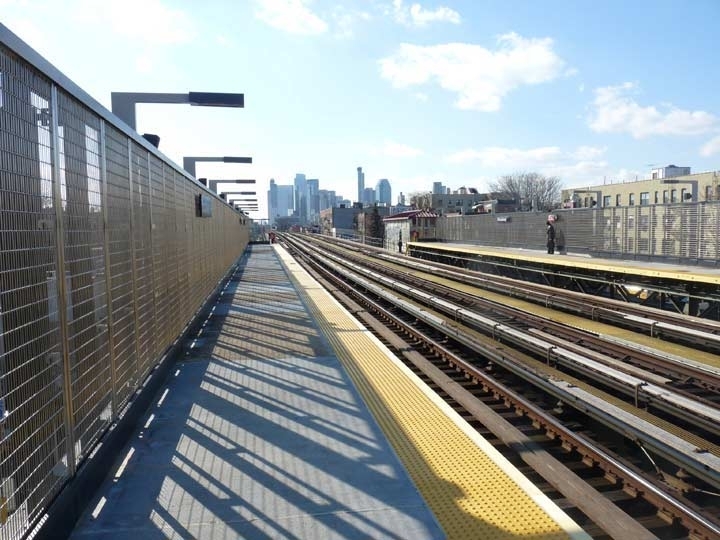 Most subway lines in NYC share trackage, so problems on one line can affect others. 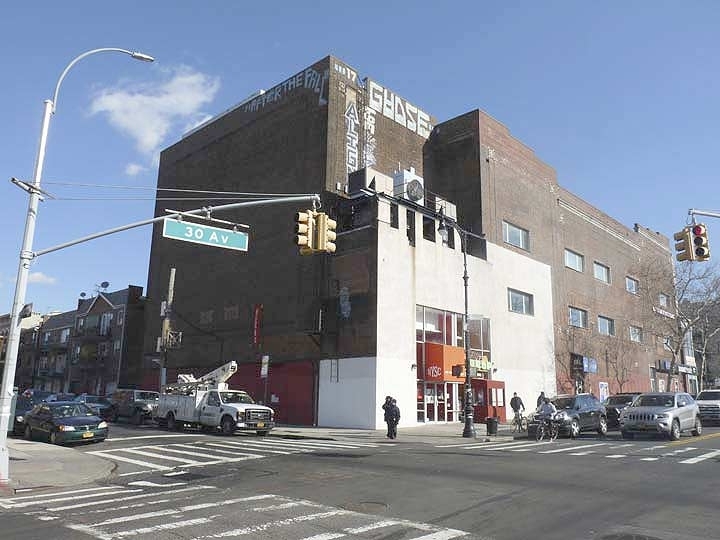 Recently, the Metropolitan Transit Authority was planning to shutter the L train, a formerly sleepy but now vital link between the East Village/Midtown Manhattan and Williamsburg, Bushwick, East New York and Canarsie in Brooklyn. “Superstorm” Sandy had wreaked havoc in the tunnels, with salt water seeping into everything including electrical conduits that power the trains. 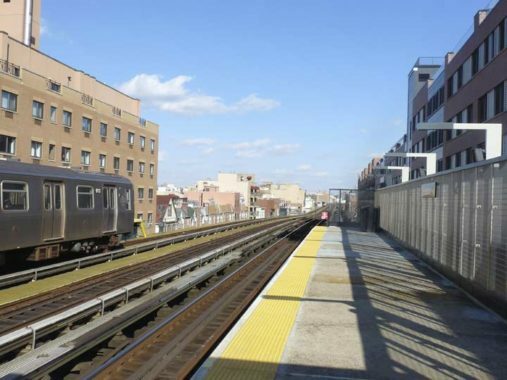 While the MTA’s original plan would’ve cancelled service for 15 months, Gov. Andrew Cuomo convened his own panel of experts and devised a new plan that would replace the conduits and enact other repairs in a different manner and schedule that would force drastically reduced service overnights and weekends for a longer period, but keep the line open. There’s not much to celebrate about the trains. But I find ways. I’ve always been an infrastructure enthusiast, taking in the oldest stations with their elaborate Beaux-Arts decorations, through the mid-period mosaics and severe IND Machine Age stations of the 1930s, up to the postmodern stations that seemed to cover everything in glazed orange bricks. 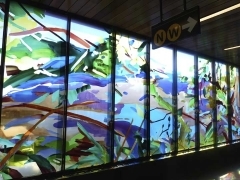 In recent years, the MTA has brought in a new phase of subway architecture. 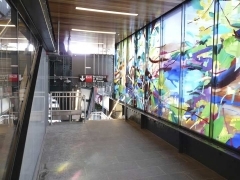 The new Second Ave. extension of the Q line created four new stations, three of which feature large panels of contemporary artwork by the likes of Chuck Close. 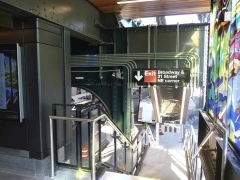 A number of stations have been “refreshed” along the 4th Ave. BMT route in Brooklyn and the IND stations along Central Park West. I haven’t yet visited them all, but the ones I have include large illuminated wall panels, new “countdown clocks” and phone chargers. 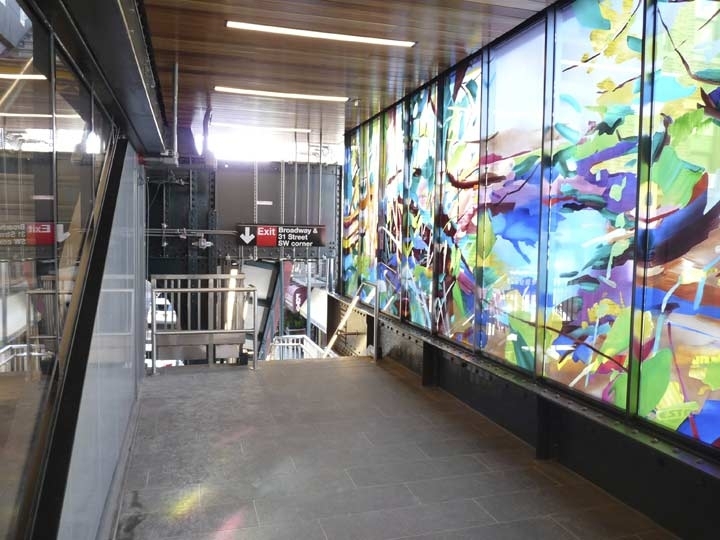 A major change is that the back walls of the stations are, for the most part, no longer opaque. 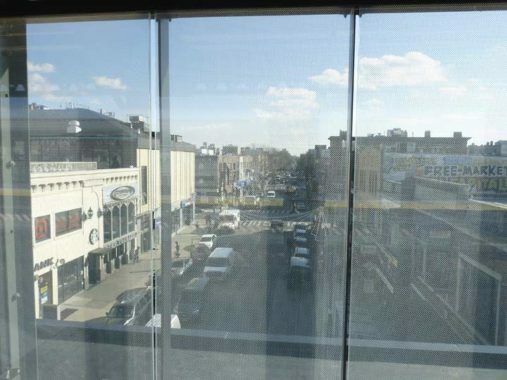 Thick glass or plastic panels have been installed, separated on occasion by black walls, but a clear view of the outside environs , in this case Broadway looking east, is now possible for the first time. At night, though, these screens take on a more opaque quality and the backlighting gives them a greenish hue. 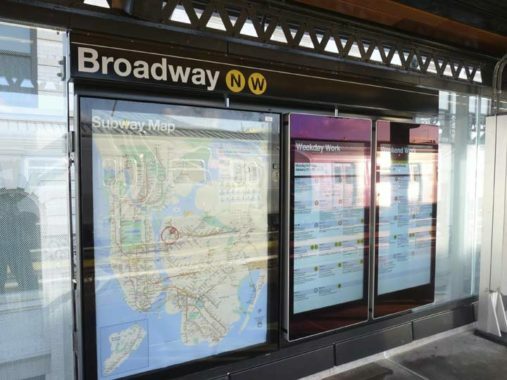 Here we see large illuminated system maps and message boards describing route changes (most of the subway infrastructure remains decrepit and weekend and off-hour re-routings are the rule, and descriptions of the changes necessitate lengthy lists). 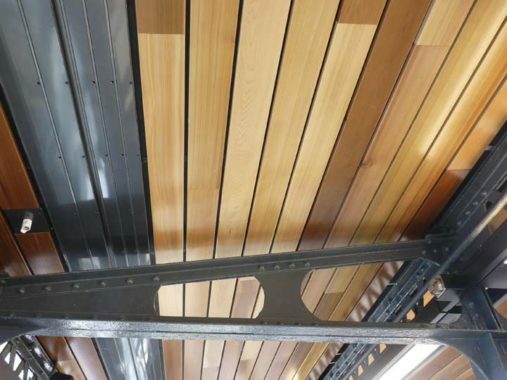 While the basic canopies of the elevated stations are intact, the platforms themselves are new and the roofs, now soothing wood paneling, are new as well. 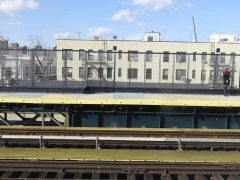 …I’ve no idea where the MTA scared up the space in these formerly cramped stations, but each station on the Astoria el now has, or will have when all the station renovations are done, a waiting room! 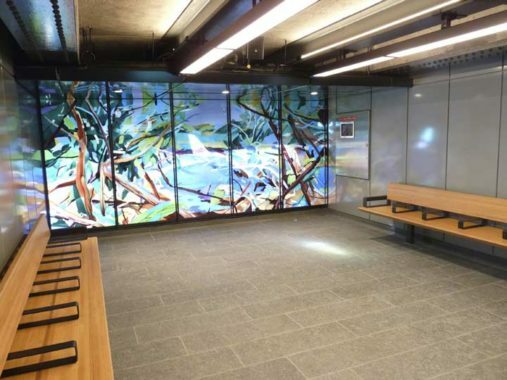 The rooms face countdown clocks at the turnstiles, so passengers might opt to use these rooms instead of standing on the windy platforms no longer protected by windscreens. I never knew there was enough room in the old station for these, pre-renovation. 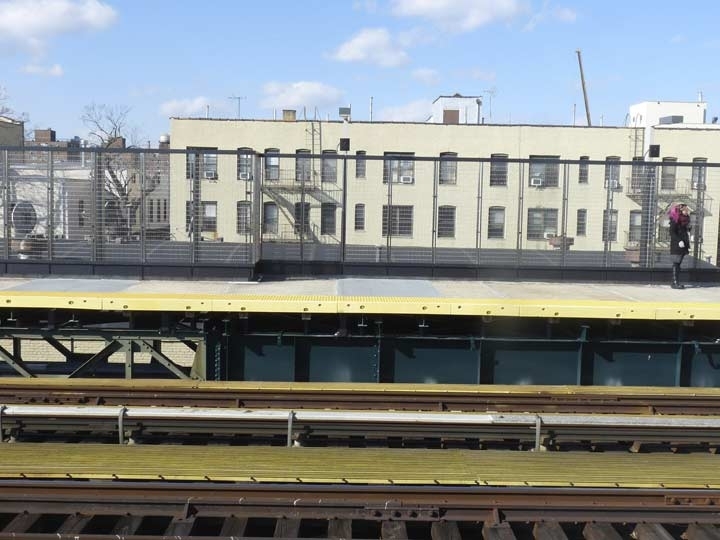 The MTA will have to strive to prevent these “lounges” from becoming homeless havens in the cold months. I haven’t seen anyone using them yet, and it might take awhile for people being conditioned to the presence of waiting rooms in subway stations. 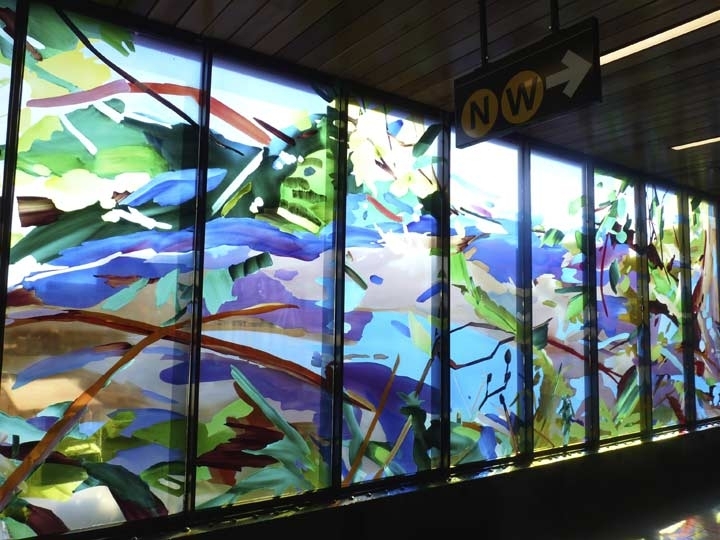 Like other such rooms and entrance areas, new public art has been installed, in this case, Diane Carr’s “Outlook.” My preferences run more toward historical images (my affiliate organization, Greater Astoria Historical Society, could have assisted with this) but the MTA went with the more abstract art route for these new station revisionings. 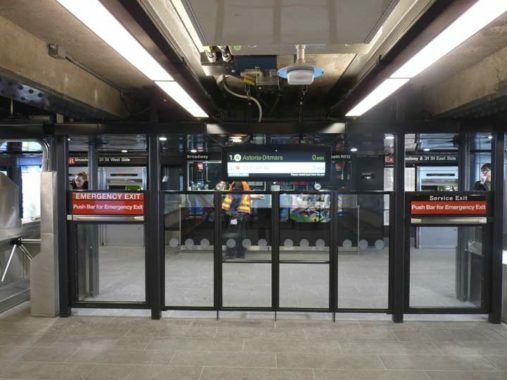 Clear glass paneling makes the “fare control” area airier. 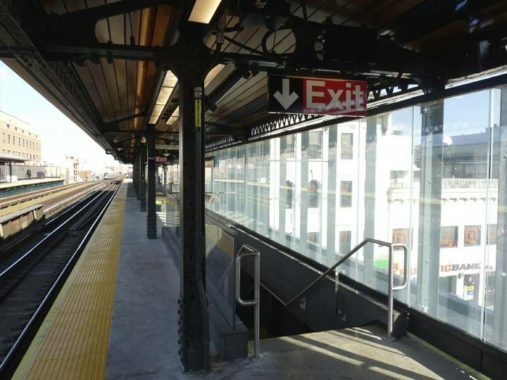 “Countdown clocks” are more numerous in these stations; lengthy platforms in older stations, the MTA has been stingier, with often one clock serving a platform long enough to fit 10 subway cars. Looking east from Broadway station. 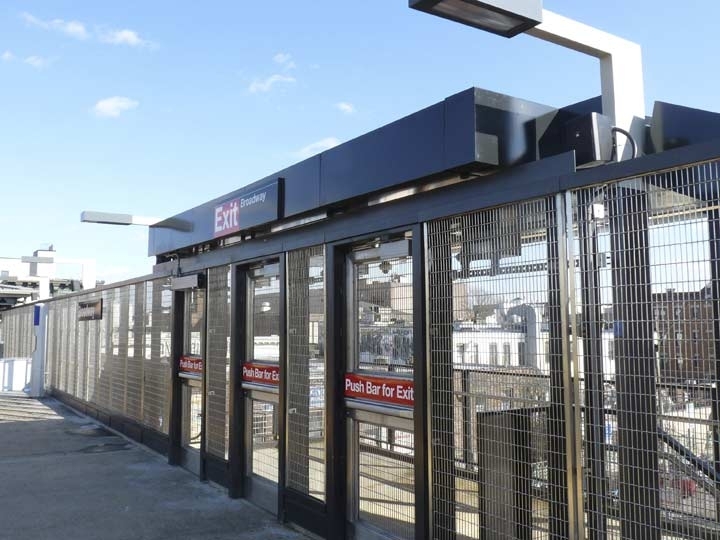 For the station lamp stanchions, the MTA has chosen an ultramodern look. On other stations around town, the MTA has worked up retro versions of lamp stanchions from the early 20th Century. So far, the MTA has not retrofitted its platform lamps with bright white LEDs, but for new construction like this, they have. 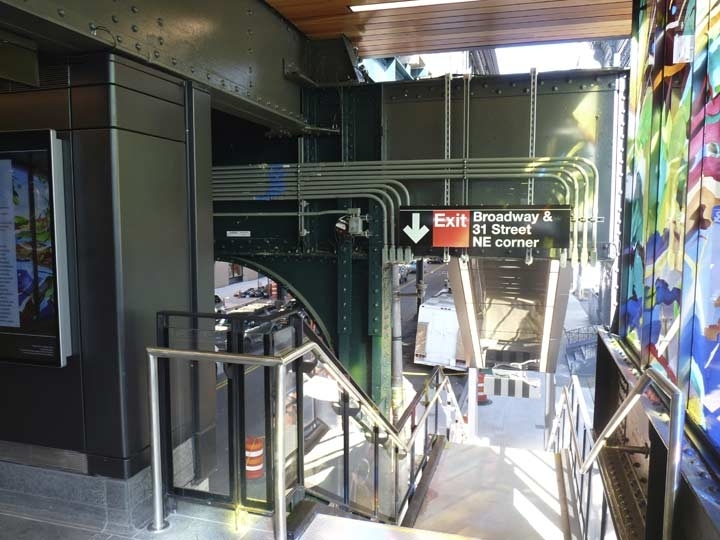 At the 30th and 36th Avenue stations, the MTA chose to build brand new canopies protecting the staircases from the elements. 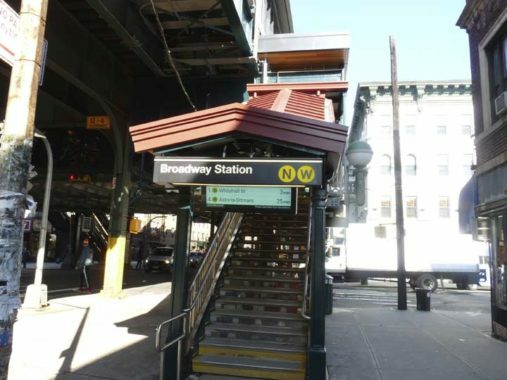 At Broadway and 39th, the MTA refurbished existing canopies and placed illuminated strips around the station IDs, and also added a countdown clock. Thus, passengers will know exactly what the wait time will be before choosing to enter fare control. 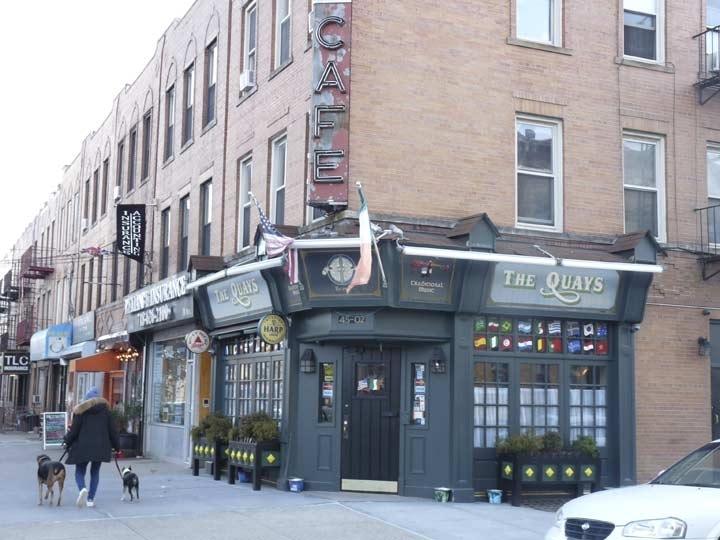 So, today I was out for a ramble in Astoria which has always been one of my favorite regions in Queens; in 2018, I did an “Astoria sweep” circumnavigating the neighborhood nearly completely. Today the plan was, check out the new Broadway station, head north, then east along 30th Avenue (which used to be called Grand — more later) and then nip back to the Woodside LIRR station for a ride back to Little Neck. 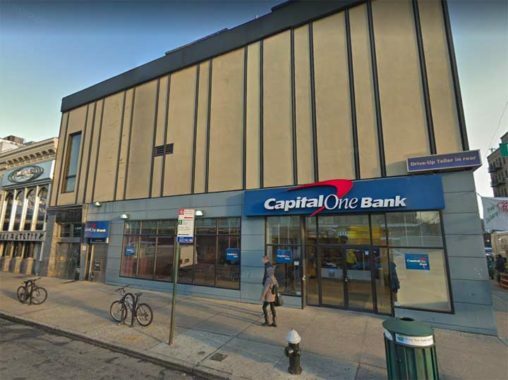 This Investors Bank, at the corner of Broadway and 31st Street, above which the el runs, is interesting in a number of ways. 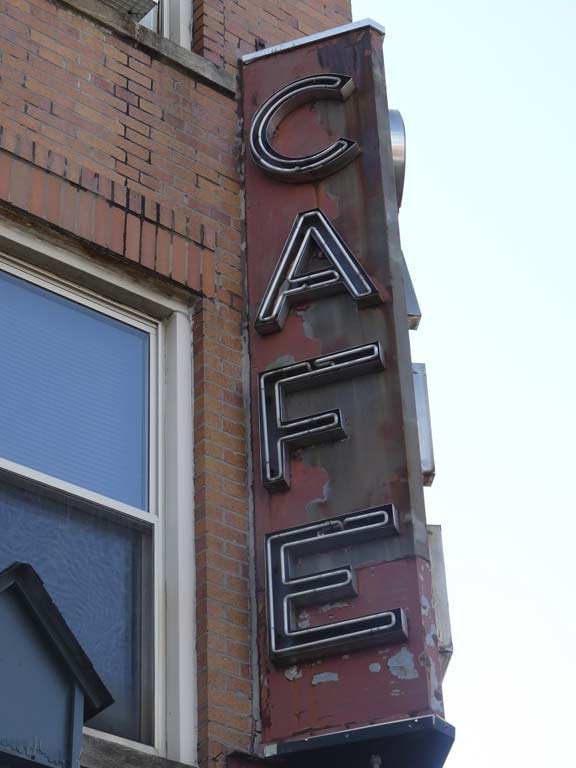 Its building features caducei, as well as an ancient “2nd Avenue” sign, a relic of 31st Street’s former name. The Coca-Cola “privilege sign” opposite the bank has had half of it hacked off in recent years, possibly by Hurricane Sandy. 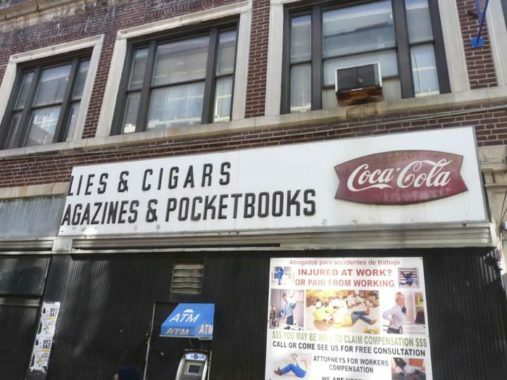 Curiously it now reads “Lies & Cigars” which would make a decent ironic album title; it was probably “school supplies & cigars.” “Privilege signs” were supplied to newsdealers and grocers by companies like Coca-Cola for free or for a small fee, providing a sidewalk sign with the company logo. 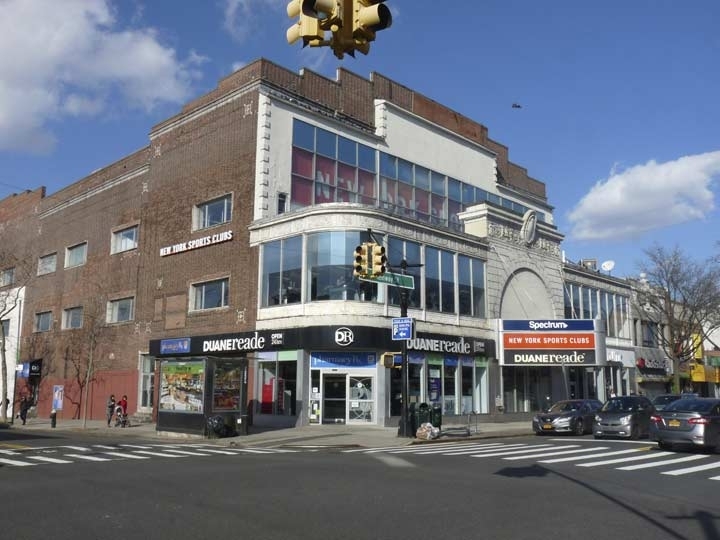 This building at Broadway and 32nd Street, aggressive in its blandness and the nondescript face turned toward the public, has a more colorful history as the Broadway Theatre, which was in the building from 1926 to 1962. 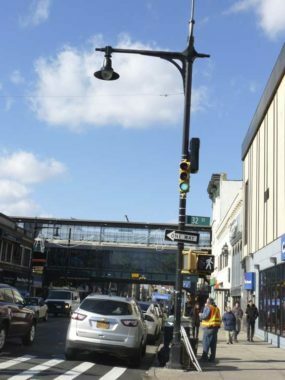 Approximately a decade ago, new lampposts using the Triborough Bridge lamppost design appeared on Broadway, Ditmas Boulevard and Jamaica Avenue in Queens and on Elton Avenue and Hunts Point Avenue in the Bronx, both boroughs served by the Triborough. 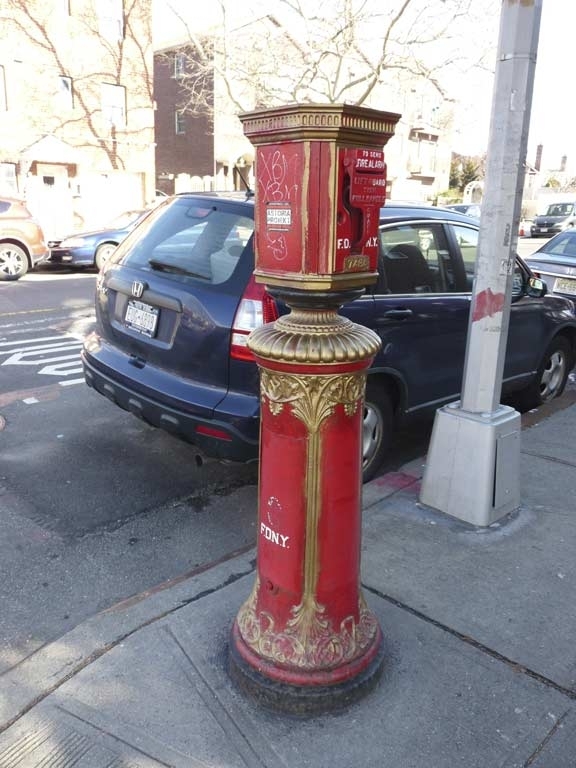 (They haven’t yet appeared on Manhattan streets.) 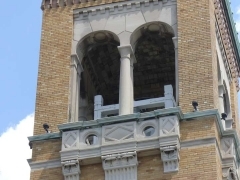 The tall mast at the apex as well as the box on the shaft are cellphone receptors. 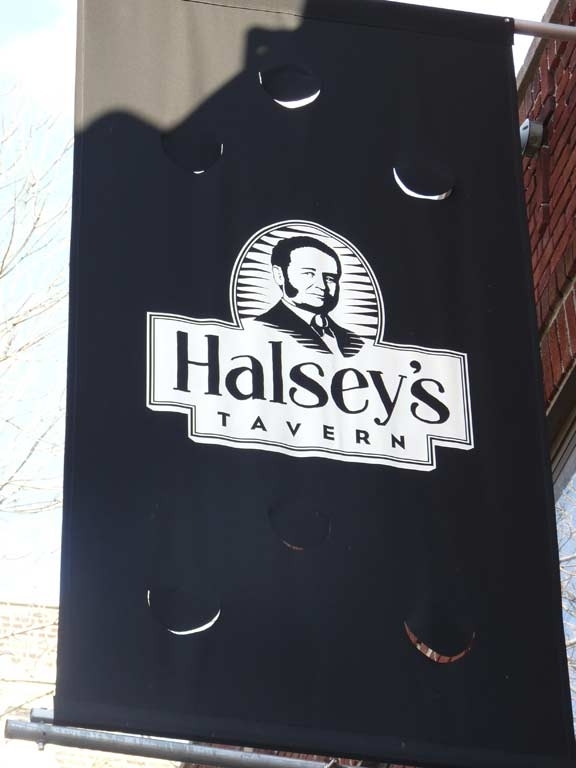 Halsey’s, on 33rd Street off 31st Avenue, takes its named from Stephen Ailing Halsey, the founder of Astoria Village. Astoria was named for a man who apparently never set foot in it. A bitter battle for naming the village was finally named by supporters and friends of John Jacob Astor (1763-1848. Astor, entrepreneur and real estate tycoon, had become the wealthiest man in America by 1840 with a net worth of over $40 million. (As it turns out, Astor did live in “Astoria” — his summer home, built on what is now East 87th Street near York Avenue — from which he could see the new Long Island Village named for him.) After Stephen Halsey incorporated a village there in 1839, streets began to radiate east and south from the area, with fanciful dwellings constructed along them. 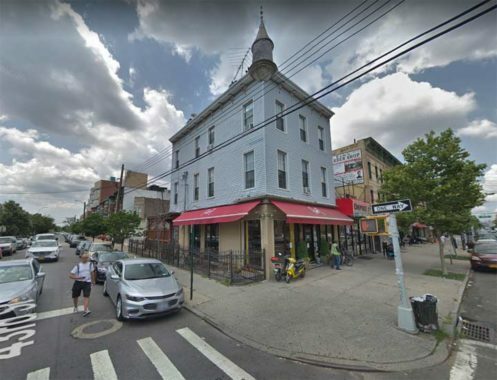 Many have disappeared in the past few decades as developers place larger high-rises in the Village, which was never granted Landmarks protections. OK, so I have attained 30th Avenue, parts of which are a very old road in NW Queens. Its former name, until the 1920s, was Grand Avenue. 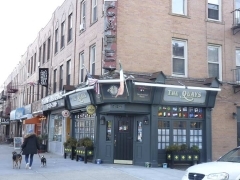 Before most Queens streets received numbers, 30th Avenue was called Grand Avenue, and the Maspeth/Elmhurst Grand Avenue was called Grand Street; it’s an eastern extension of Williamsburg’s Grand Street. 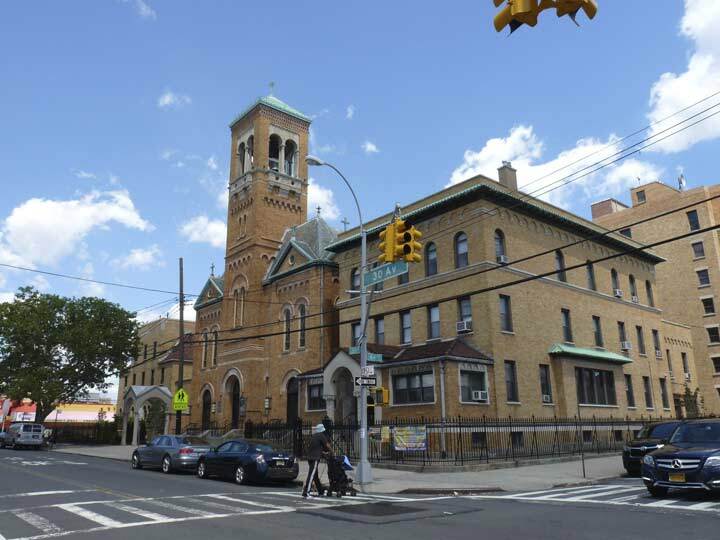 Flushing Avenue, which runs through parts of Brooklyn and Queens (but not Flushing), intersects a Grand Avenue in Clinton Hill and ends at another one in Maspeth! 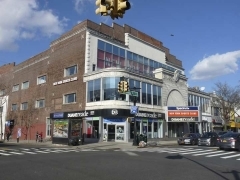 And, 57th Street in Maspeth was once called Flushing Avenue, so for some years, Flushing Avenue intersected Flushing Avenue in Maspeth. Things got complicated. Mitch Waxman, the best night photographer in Queens, runs a site called Newtown Pentacle. 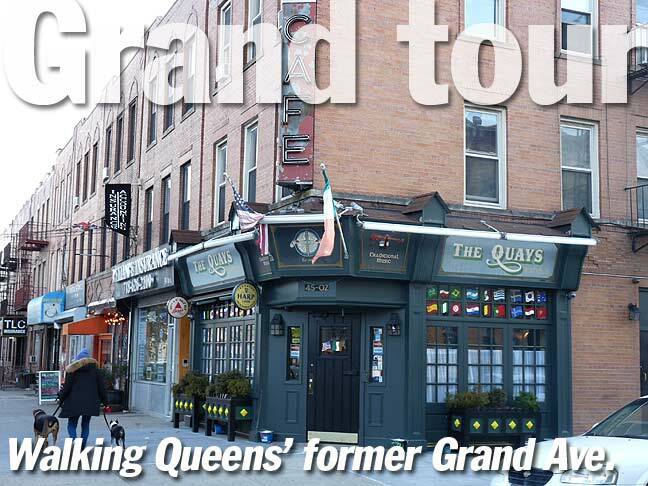 It is a theory of his that the Grand Avenue of Astoria and the Grand Avenue of Maspeth are the same route. They are not: but they do have a direct connection. I have reproduced part of the Matthew Dripps map of Queens from 1852, the oldest Queens map I know of. At lower left, the Maspeth Plank Road crosses Newtown Creek and runs northeast. Parts of this formerly tolled route became Grand Avenue, whose many twists and turns avoided hills and swamps. 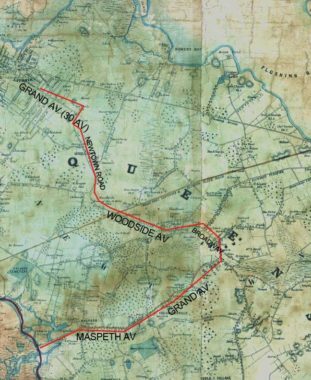 The Plank Road ended at the heart of today’s Elmhurst; most of Queens Boulevard had not yet evolved, but today’s Broadway curved northwest, continuing into Woodside as today’s Woodside Avenue, turning northwest past another swampy area into Astoria, where it ran to the East River front along Newtown Road, Grand (30th) Avenue and Newtown Avenue. Thus, these two old routes are linked by ancient roads, most of which are still in place today! 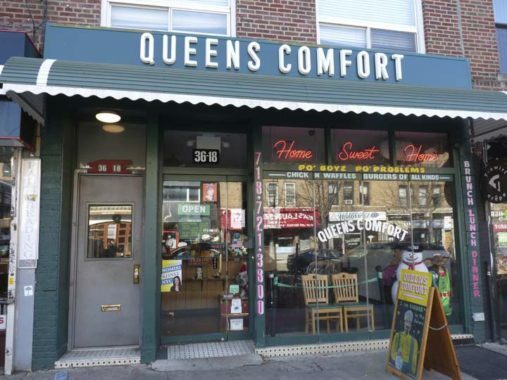 I haven’t been in Queens Comfort yet but one of these days, I will probably visit, budget allowing. 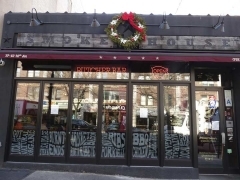 So-called comfort food is my kind of thing –the lunch menu features pulled pork, various burgers, waffles and chicken, tater tots and gravy, a Southern-type menu. Reviewed fairly decently. The only objection I have is that they apparently don’t carry Coke or Pepsi. 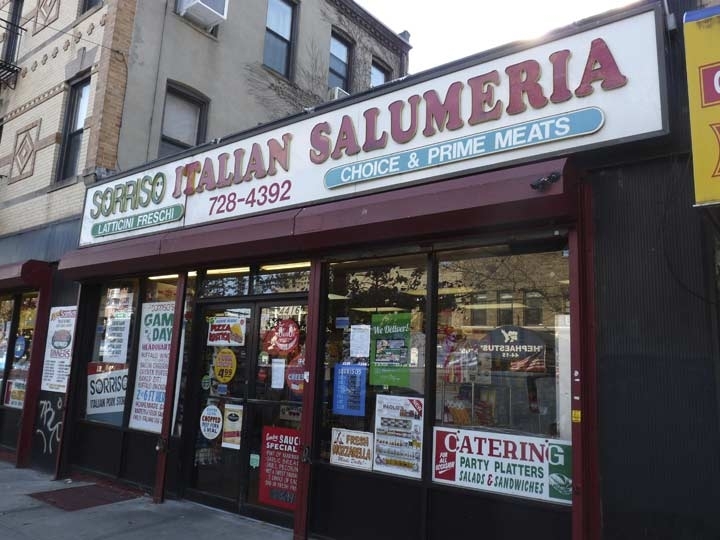 I was dismayed when I heard they had to vacate their old location on 30th Avenue east of Steinway Street, but I see they have relocated here at 36-18 30th. Usually, pizzerias do not feature modern design in signage, but Slice, at 37-08 30th Avenue, differs. I did not try the goods inside, though, which is what really counts. I have a weakness for the black, red and white combo, that’s pretty much been Forgotten NY colors since the start. 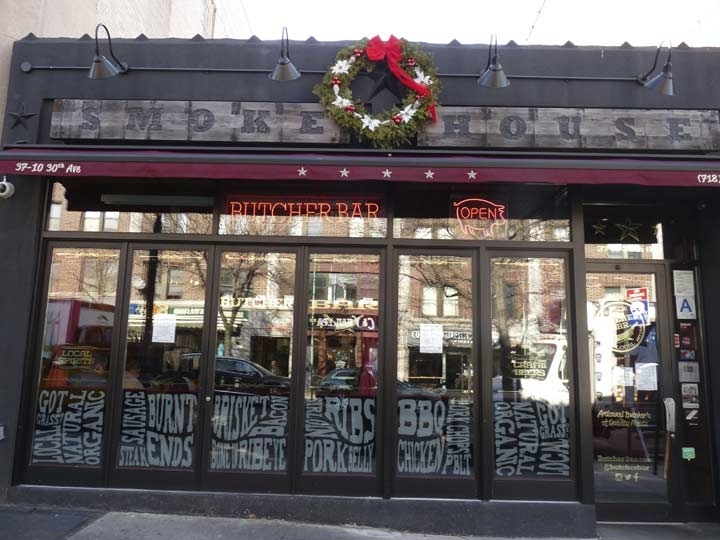 Right next door is the Smokehouse Butcher Bar, but I was drawn to its old-look wooden signs and handy directional signs to barbecue bastions out West and South. 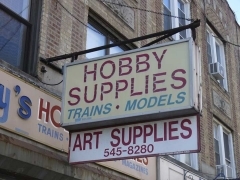 The increasing gentrification or hipsterfication or high-rent-ification of various neighborhoods has produced a trend that I actually do like: interesting store signage. 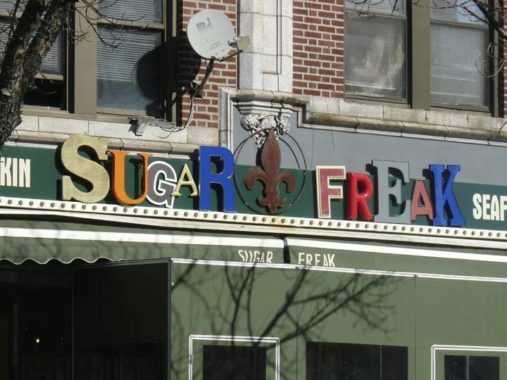 This one at 37th Street and 30th Avenue combines raised letters in different fonts, some recognizable, some not. It’s apparently a Louisiana-style restaurant a few steps up from Popeye’s. 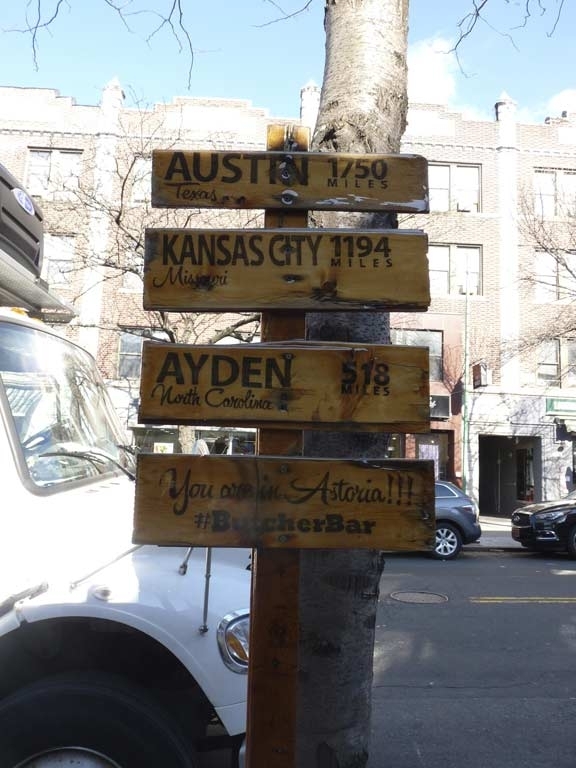 I’ve mentioned often that I enjoy Astoria and would consider moving there but for its skyrocketing residential costs. 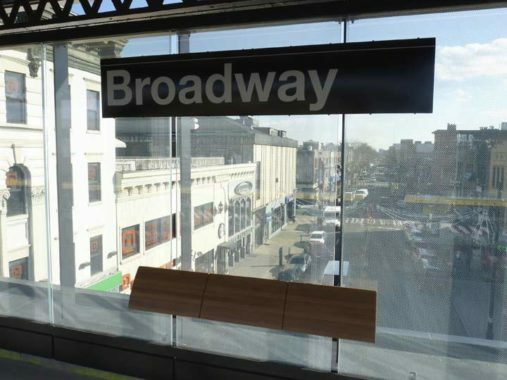 There are no fewer than three main shopping/dining stretches: 30th Avenue, Broadway and Steinway Street. 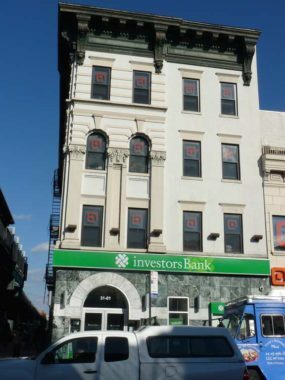 The former Loew’s (pronounced incorrectly as Low-ee’s by New Yorkers) Astoria Theatre stretches on 30th Avenue, fronting on Steinway Street, rear-ing on 38th. 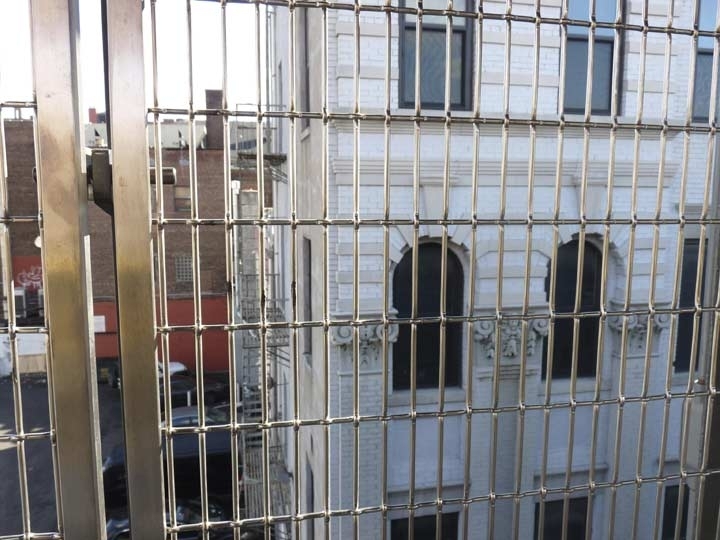 The Astoria opened in November 1920 by the Loews organization as a 2750-seat, one-screen, one-auditorium venue that, like most theaters of its time, was also home to musical and vaudeville acts. It survived as a theater until fairly recently, closing on December 26, 2001 as the United Artists Astoria Sixplex. Home to a Duane Reade drugstore and a gym chain now, it’s still quite recognizable as a former theater, with its grand arched entrance and marquee still intact. Around the back, there’s another exercise joint and a wrap counter. Some apartment buildings have names above the door, and sometimes, the names give clues about former street names. 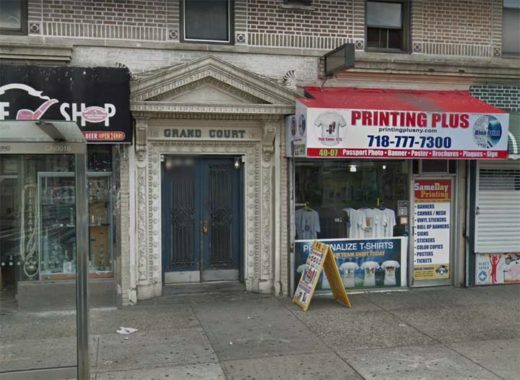 Grand Court, 30th Avenue and Steinway, was built when the avenue was still Grand. 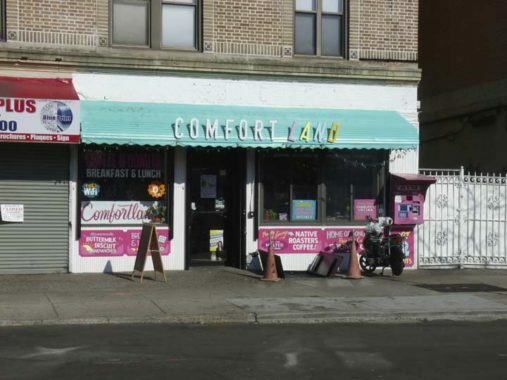 To add confusion to the Queens Comfort saga, its former location on 30th Avenue at Steinway is now Comfort Land, which as Gothamist explains, is not a copyright infringement or another owner bigfooting the name, it’s all legit as it’s owned by the Queens Comfort people. 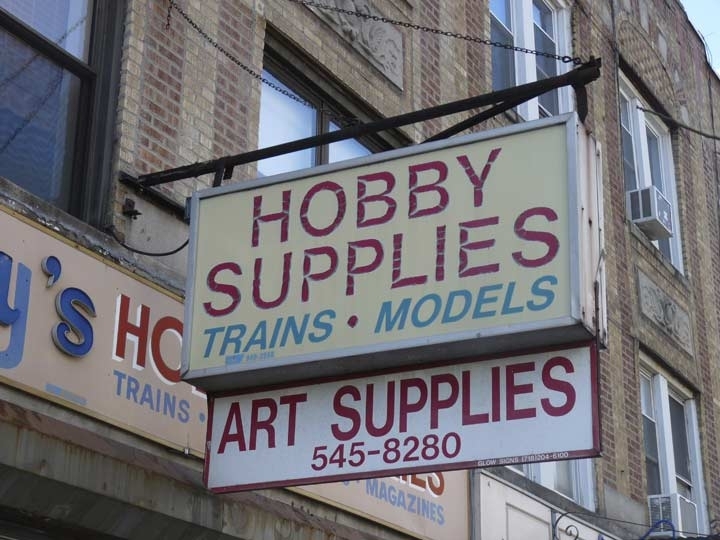 It has the same style plastic-letter signage as the previous incarnation. A slightly high blood sugar count at the doctor in 2017 put the fear of the Lord into me and I don’t have nearly the donuts, cookies, bagels and candy bars I wish I could (I don’t have diabetes and would prefer to keep it that way). 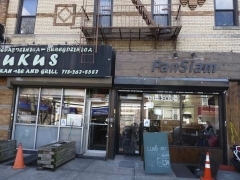 “You can get anything you want at Alice’s Restaurant” and you also can get it in Astoria. 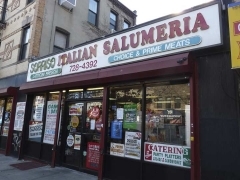 Here’s an Italian “salumeria,” or “place where salumi (cold cuts) are sold.” Nearby are a Balkan restaurant (food from Albania, Yugoslavia, Macedonia, that region) next door to a Thai place. 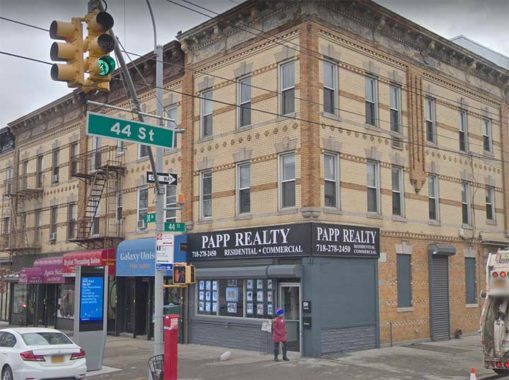 Against all odds, this otherwise heavily-renovated building on the corner of 30th Avenue and 43rd Street has kept its corner turret. I have a time machine, and it’s the Municipal Archives tax photos from 1940; here’s how it looked that year. 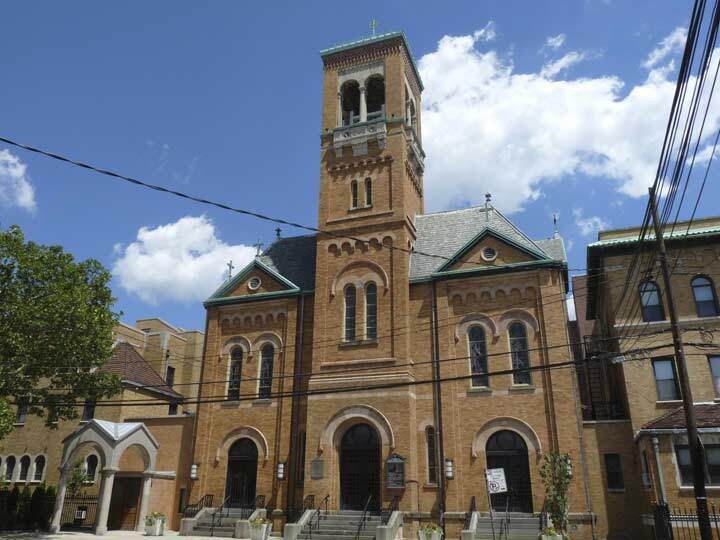 One of Queens’ most gorgeous brick churches, St. Joseph’s R.C. 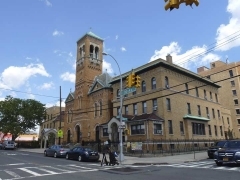 Church, 30th Avenue between 43rd and 44th Streets. The church was organized in 1877 when there was a large amount of German Catholics in the region (the Steinways had set up their piano manufacturing plant in Astoria that decade), with the first wooden structure erected in 1880, and the current building with its massive campanile (bell tower) in 1906. 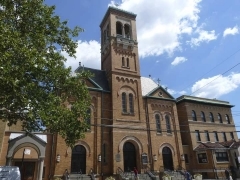 Catholic churches seem to build the equivalents of small towns for their parishes, and the church is surrounded by a school rectory and convent. Many New Yorkers cite 1993’s A Bronx Tale, written and acted in by Chazz Palminteri and produced and acted in by Robert De Niro, as their favorite movie. 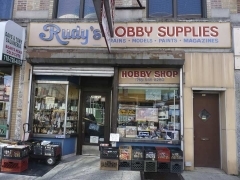 Though A Bronx Tale was set in the Arthur Avenue region in the Bronx, many of its exteriors were filmed here on 30th Avenue, using vintage buses from the NYC Transit Museum (De Niro’s character was a bus driver). 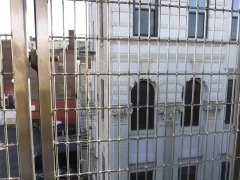 De Niro and Palminteri felt that because so many older buildings were preserved along this stretch, which is less crowded than Arthur Avenue, it would be a better place to film. 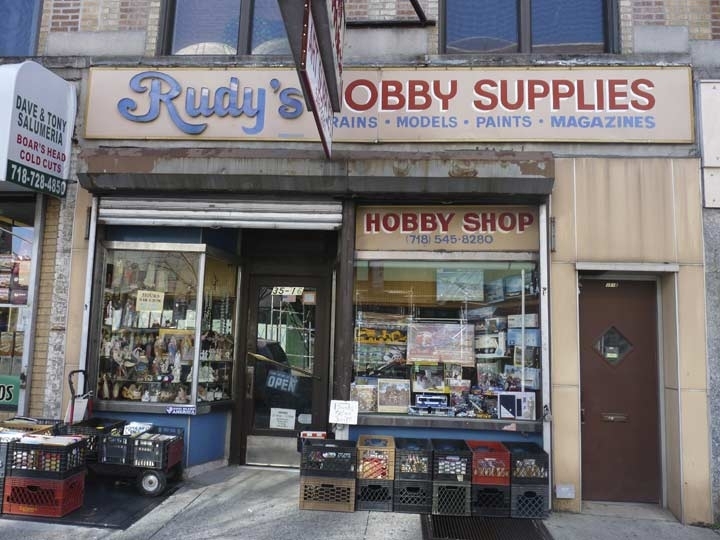 Palminteri’s mobster, Sonny’s club “Chez Bippy” was filmed at this corner, 30th Avenue and 44th Street. 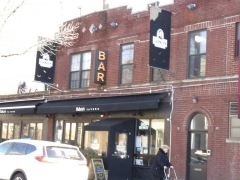 East of 41st Street, 30th Avenue enters the Mathews Zone: several blocks of apartment buildings constructed with yellow bricks from the kilns of Balthazar Kreischer in the far south end of Staten Island and developed by Gustave X. Mathews beginning in 1915. The Quays (pronounced “keys”) is a bar on the corner of 30th Avenue and 45th Street. 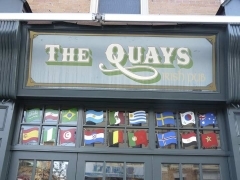 I was taken in by its painted sign, flags of many countries, and neon CAFE sign. 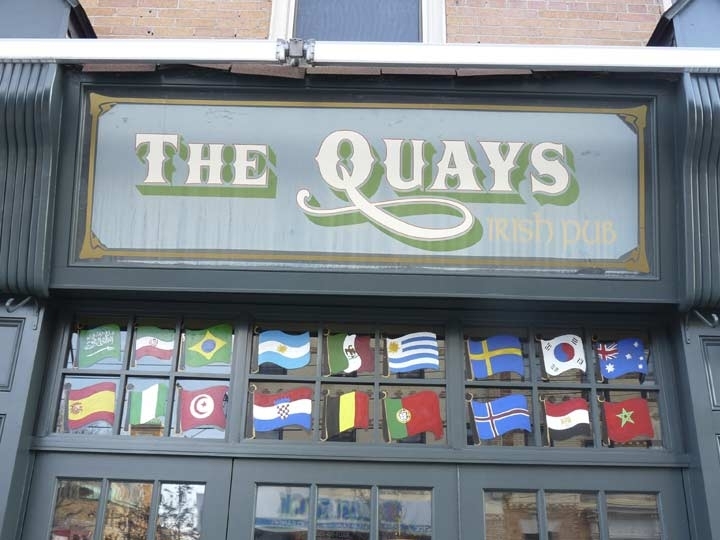 Popular watering hole with performances by local musicians on some nights. 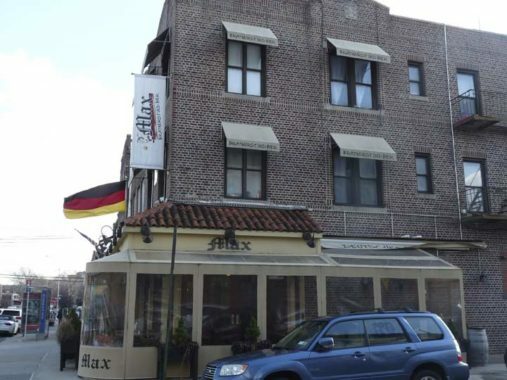 If Balkan, Korean and Italian fare and Irish bars aren’t enough you can get your fill of German comestibles at Max Bratwurst at 30th Avenue and 47th Street. “They have some specialty wursts such as rattle snake and alligator.” Me, I stick with the chicken schnitzel. You’ve probably seen some of these fancifully painted fire alarms around town. 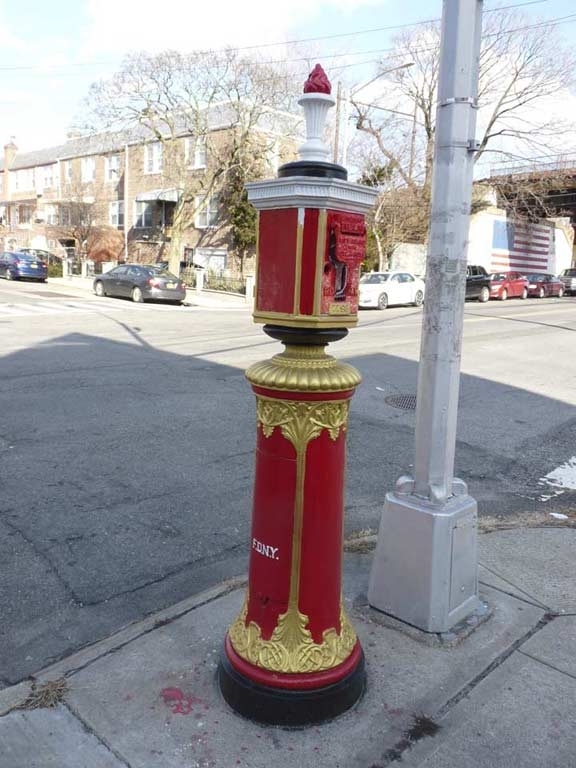 Chances are they are the work of security guard John Colgan, who has made it his business to “rescue” badly graffitied alarm boxes in the Woodside area since 2015, though I have begun to see them elsewhere, like here in eastern LIC. 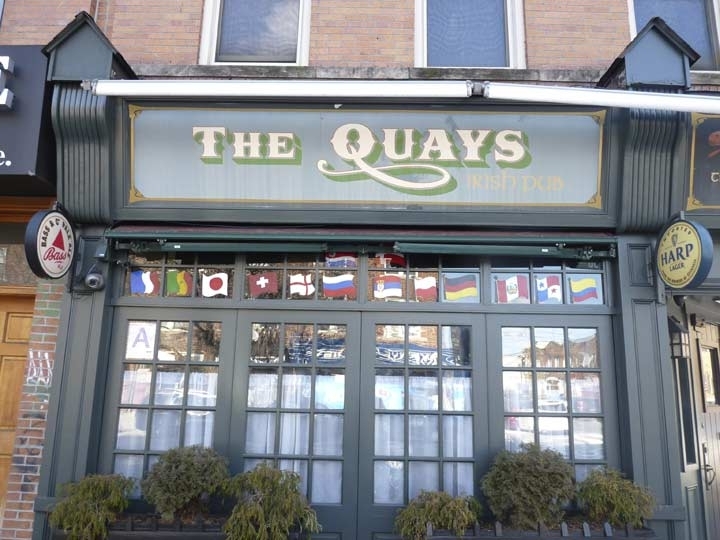 That’s all I got for today in Astoria…. 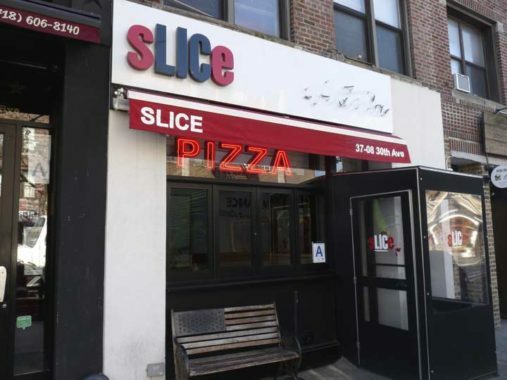 Looks like the black letters in the sLICe pizzeria sign are a nod to Long Island City.